Product information "Alarm Siren With Stroboscope"
Use the Didactum siren for issuing warnings and alerts for critical events. 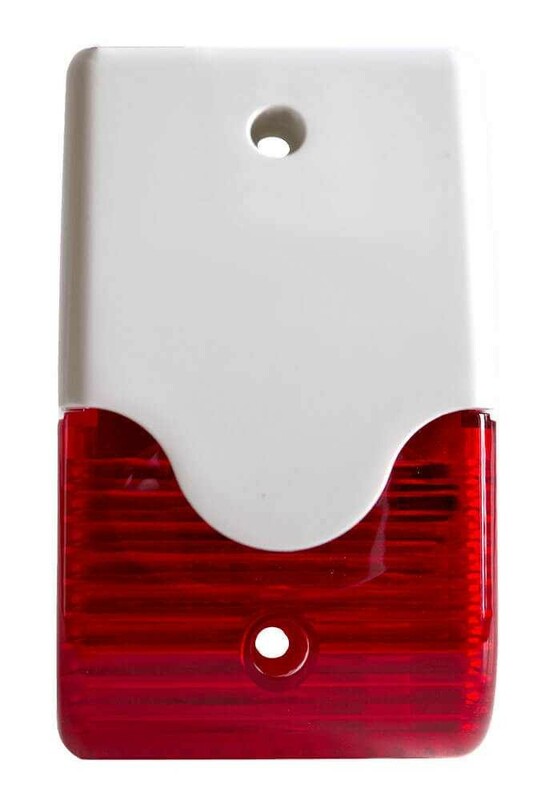 This sensor will reliably alert your staff and security personnel of critical conditions. Didactum`s siren offers a combined audio and visual alarm for the reliable notification in noisy production areas or data centers. A powerful siren with the loudness of 107 dB and a brightly lit strobe light unit are integrated in Didactum`s siren and strobe. The strobe flashes its alerting light up to 140 times per minute. This sensor is simply connected to the 1-Wire port on the Didactum Monitoring Systems Series 500/500-DC / 600. The sensor is powered via the Didactum monitoring system. No additional power source is needed. Within the multi-lingual web GUI of the SNMP enabled Didactum remote monitoring system you can easily configure the siren with the integrated strobe light. You can define which states and actions should be signaled via Didactum`s alarm siren and strobe. You can also define in case of a fire the siren alerts also include the strobe light to be switched on. In the Web interface you can define individual and even multi-level settings for the Didactum sensors including CAN-Bus devices. Dry contacts* connected to Didactum`s SNMP enabled monitoring device can also be triggered by an alarm via the siren (* optional feature). Connector for 12V Relay output of Didactum Monitoring Systems 100/500/500DC. Optional RJ-9 connection to 1-Wire port of the Didactum Monitoring Systems 400/600. Related links to "Alarm Siren With Stroboscope"
Customer evaluation for "Alarm Siren With Stroboscope"